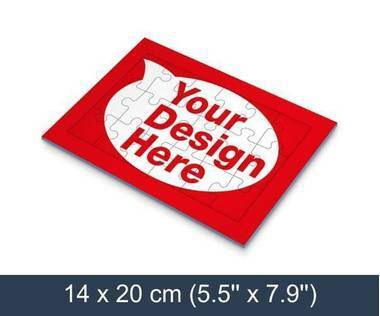 Create an exciting and captivating marketing campaign – include promotional tray jigsaw puzzles! You can even print your marketing message on both sides of the jigsaw puzzle. As the jigsaws are available in shrink-wrap packing, your message is always visible. High-quality promotional materials will make your campaign unforgettable.